We have come a long way since June 2006, when our group of concerned parents got together to brainstorm about what in the systems that were in place at International School Manila at the time, prevented it through the last 35 years from keeping its Superintendents over a longer and more relevant term. Before we parents even had the creativity or opportunity to call ourselves ISM Stakeholders, the many decades of combined experience as parents at this school, as well as the vast work and volunteer experiences many of us brought to the table, gave us great insights on what the school needed for its long-term survival. International School Manila needed sustainable reforms. No greater proof can be found that the organizational structure at the school was untenable over time than with our experience in August and September 2006, when the school's leadership team, a few Trustees, and an overwhelming majority of parents had to declare their lack of confidence in the Board of Trustees or in the individual Trustees who had composed that Board. In an unprecedented show of a type of support for their leadership team and with uncharacteristic boldness that put their own jobs at risk, the faculty voted not to conduct classes for two days until the then Board Trustees had been removed or had voluntarily resigned. The new Board of Trustees - an Interim Board of Trustees - which we elected on September 18th, 2006 has then made it their first and primary goal to hire a professional consultant, to review our school's systems with him, and to produce its own set of recommendations not only to heal the school's divisions, but more importantly, to prevent new ones from forming going forward. We had voted into office an Interim Board composed of a very distinguished panel of Trustees who, through their diverse experiences in business administration, management, diplomacy, and corporate governance, has done its utmost to bring us to where the School is today: in a position to revise the organizational structure at ISM so that what were effectively "visiting Superintendents and faculty" would be a thing of the past, and with great hope, be so, permanently. 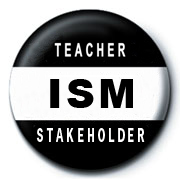 The Interim Board has uploaded on the school's website the new Amended By-Laws for ISM which go way beyond the controversial amendments we were made to vote on in January 2006. (Please click here if you want to view our summary of the important sustainable reforms we have found in the new Amended By-Laws brought before us by our Interim Board.) It has done the boldest thing that no other Board before it wanted to try: a revision of the By-Laws that brings it up-to-date to the 21st Century after almost 4 decades of not even once mentioning the word "Superintendent" as the head of the school's operations, and of obfuscating the line between the Board's and the professional educational administrator's jobs. We, at ISM Stakeholders, strongly endorse an affirmative vote on the ratification in toto of the Amended By-Laws approved and confirmed by the Interim Board on January 8th, 2007. We strongly recommend that you attend at least one of the meetings that have been arranged by the Trustees in which at least one of them will be present to answer all our questions and concerns. After which, we encourage you to pick up a proxy form and to submit this to the Corporate Secretary as the final act in what you had embarked to do with us beginning in September 2006 when you had entrusted us with another proxy form which at the time sought to remove the Trustees of a previous Board. Among other important revisions, these new Amended By-Laws will require a vote in person on all matters that require our vote, but especially for the election of Trustees. Proxy voting and proxy gathering had been the source of most controversies at the school in the past and had caused many parents who had left for other schools to dismiss ISM as being "too political". These proxies will no longer be required after each of us CASTS OUR LAST PROXY and affirmatively votes for the ratification of the new Amended By-Laws at the Special Meeting on February 7th, 2007 being called for this purpose. Let us be one in harnessing the full potential of International School Manila by institutionalizing sustainable reforms. Vote affirmatively for the new Amended By-Laws and this time around, CAST YOUR LAST PROXY! Here are the results of the Special Meeting of the Members of I.S.M. held on Monday, September 18, 2006, as certified by the independent and external auditors, KPMG (click here to see email from KPMG). Also in attendance were 2 official representatives from the Philippine Securities and Exchange Commission (SEC). The 619 members who were present in person to attend the meeting represent 51.4% of all the members of I.S.M. The total attendance of 961 members (either in person or by proxy) represents 79.8% of all the members of I.S.M. At their organizational meeting, the Board elected the following officers: Randy Johnson, President; Margarita Delgado, First Vice President; Juan Miranda, Second Vice President; and Byoung Hyun Suh, Treasurer. Click here to read the announcement from Randy Johnson. We, a group of concerned I.S.M. parents, believe that International School Manila is the best school for our children. We value the way its excellent international education instills in our children a global state of mind. We therefore urge you to join us in guaranteeing that I.S.M. continues to uphold its core beliefs. We hope to build our school as a united I.S.M. community. Join us. View a presentation on the I.S.M. successes and impediments to growth. Parents and teachers write on the aftermath of the the week of September 4th and on their thoughts on taking I.S.M. forward. Public documents, official announcements and Board correspondence from I.S.M. Click here for full list. When anonymous blogs and email messages spread false and slanderous information, we are compelled to present messages from people willing to speak up and identify themselves. A summary of the significant events leading to the current situation at the School. We need your contributions. Click here to see History. A compilation of the letters posted on this website just before the evening of September 7th. That evening, we achieved our goal of over 800 signatures. ISMstakeholders does not maintain nor is affiliated with any other website or blogsite. This website, http://www.ismstakeholders.com, is the only site we use. All other sites that use our name, our buttons or bear similar content to ours are not connected with us. Our site only publishes contributions that can be verified and that do not originate from anonymous email messages. We do not hide behind the easy anonymity of the web. For concerns, please email our webmaster, TG Limcaoco, at webmaster@ismstakeholders.com.